Feed contaminated with mycotoxins causes a serious range of problems including reductions in feed intake, growth performance, reproductive-, health and immunity problems. Symptoms are often non-specific and cost the agri-sector billions of dollars. Dietary mycotoxins can also end up in animal products destined for human consumption, such as milk, eggs and meat where they remain as stable and inert toxic molecules. Under normal conditions, a multi-toxin contamination is likely, which can have a synergistic effect, increasing the negative impact on the animal’s performance and health. Also, the combination with bacterial toxins increases the health issues of mycotoxins significantly. Magnet® is an advanced toxin-binder, anti-caking agent and pelleting aid for feed. 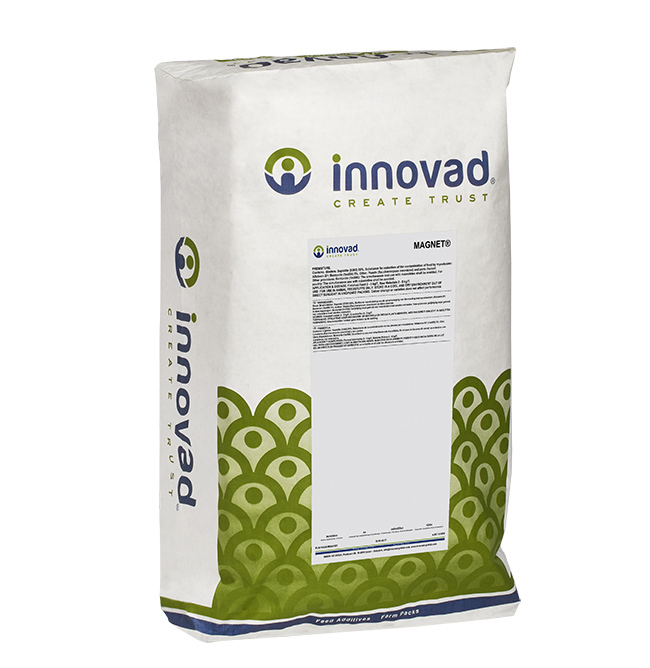 Studies have shown that it adsorbs polar toxins and enhances flowability of feed ingredients.